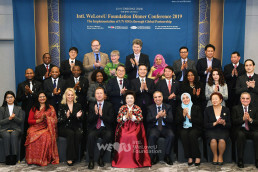 There is a rising interest on global environment which is suffering from environmental pollution and global warming. 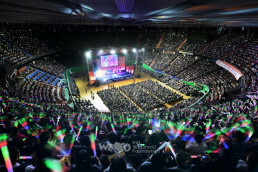 In keeping with this, the Intl. 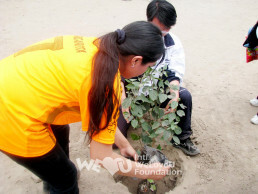 WeLoveU Foundation (hereinafter “WeLoveU”) is actively carrying out the worldwide “Clean World Movement.” The movement is an environmental cleanup campaign which its members are carrying out with one mind under the goal to conserve beautiful nature. 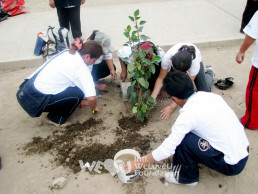 On December 5, 2010, the members from the WeLoveU Lima Branch in Peru held a tree planting campaign under the slogan, “Trees are the hope of life,” as part of the Clean World Movement. 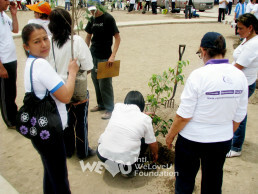 The campaign was carried out in the “Los Olivos De Pro” Park and the 220 WeLoveU members planted 100 trees. 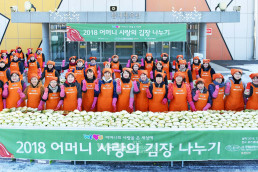 From early in the morning, the members actively participated in the campaign, carrying shovels and hoes. They voluntarily prepared brooms and garbage bags to clean up nearby areas. 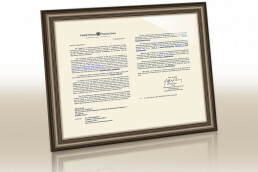 The members also received an enthusiastic response from the citizens and the officers of the Los Olivos District Office. 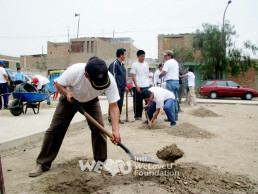 The WeLoveU Lima Branch of Peru planned to continually carry out the Clean World Movement and the nationwide blood drive in cooperation with all the branches in Peru.